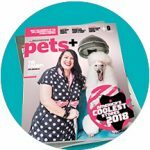 EVEN A FEW YEARS AGO, herbal-based remedies for staving off fleas, ticks and other biting insects were considered “fringe.” But as the desire to live free of manmade chemicals goes mainstream, all-natural preventatives are gaining in popularity, with many pet owners seeking out safer methods for protecting their fur babies. KEY FEATURES: These wipes are for dogs only and come 50 to a container. Made with organic cedar and peppermint oils, to repel and kill fleas and ticks. 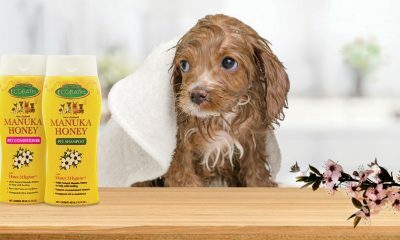 SALES TIP: Newest addition to award-winning product line, which includes a flea/tick shampoo and spray. KEY FEATURES: Cedar oil-based formula, made to kill and repel fleas, ticks and mosquitoes. 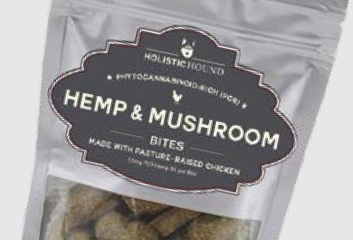 Safe for dogs and cats. Four scents and five bottle sizes. SALES TIP: Available in sample size so customers can try before they buy, and you can use for testers, too. KEY FEATURES: Essential oil blend — including citronella and rose geranium — in a coconut oil base. The 10 ml roll-on rounds out line of spray and mister. SALES TIP: Easy application on insect hotspots such as ears, muzzle, belly, legs and underneath tails. KEY FEATURES: Designed to hold and hide flea and tick collars (not included). Multiple colors, sizes available in 5/8- and 1-inch widths. SALES TIP: Helps keep flea and tick collars from slipping off and prevents accidental pet contact with the medication. KEY FEATURES: Sold separately and as a bundle, for a one-two punch against pests. Can be used on dogs and cats. The spray can be applied directly to coat before outdoor exposure. 12-ounce bottles. SALES TIP: Natural, organic and safe to use with conventional preventatives. KEY FEATURES: Made with blend of essential oils — cedar, almond and peppermint — that are safe to use in conjunction with other insect repellents. Comes in three sizes. SALES TIP: One collar lasts for three months, making it a low-cost alternative to conventional flea collars. KEY FEATURES: A gentle blend of four natural essential oils: cedarwood, peppermint, rosemary and lemongrass. Proven to kill and repel fleas and ticks. SALES TIP: A pH-balanced formula for healthy skin and coat, made by grooming products company using only U.S.-sourced raw materials. KEY FEATURES: Kills fleas, flea eggs, ticks and ants on contact, while being safe for people, dogs and cats (12 weeks and older). Can be used on carpets, upholstery or pet bedding. SALES TIP: One 9-ounce canister treats up to 800 square feet, enough for a small apartment.